This village home has been recently renovated and with its small garden would be an ideal . . .
Set at the end of a quiet lane in a dominant position with expansive south-facing views to . . . This property offers spacious family accommodation but is in need of some updating. Set . 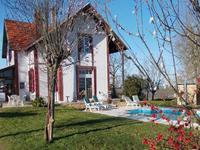 . .
Set in a peaceful location in the countryside, with potential for income from the gite, this . . . Built in 1818, this light and airy property has been renovated to a high standard including . . . Situated outside a village with shops and bar/restaurant, with south-facing views to the . . .
Beautiful renovated original Gascon farmhouse with two income-generating gîtes and heated . . .